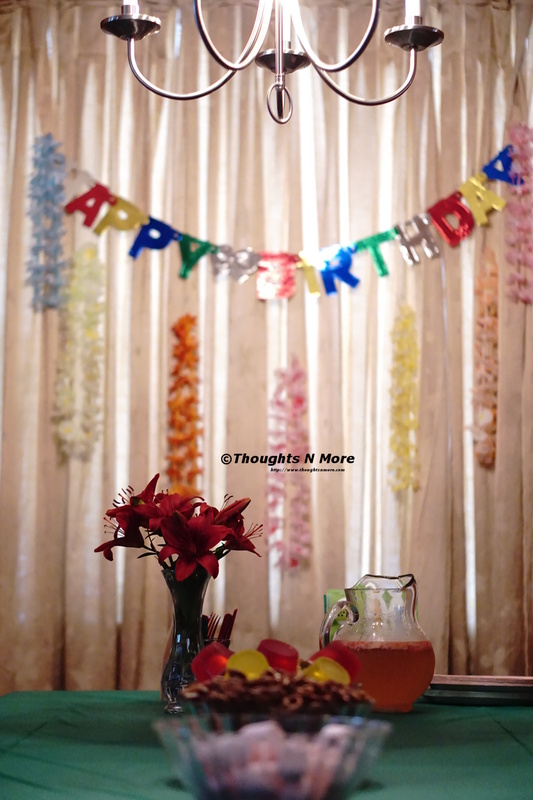 Thoughts N More… Convergence of Thoughts(Cogitation) , Creations, Culture and more ……..
Janmashtami : A festival celebrated in most parts of India to mark the birth of Lord Shree Krishna who is considered to be the eighth incarnation of Lord Vishnu. Janam/Janm जन्म meaning Birth, Ashtami-अष्टमी meaning Eighth day (of Bhadrapad), On this day Lord Krishna was born to Vasudeva and Devaki, who were kept captive in a prison cell by Kans (Sanskrit:कंस- The ruler of Vrishni kingdom) in the city of Mathura. Krishna was born in the midnight and vasudev had to securely take Krishna away to his forster parents (baba Nand and Maa Yashoda). Its believed that Krishna was escaped miraculously as all the guards fell asleep at the time of his birth. The chains that Vasudev and Devaki were tied to were broken and the barred doors gently opened hence Krishna was safely escaped and grew up Gokul. Later on Krishna imparted knowledge of Bhagvad Gita to Arjun during the battle between Kaurav and Pandav as mentioned in the epic Mahabharat. 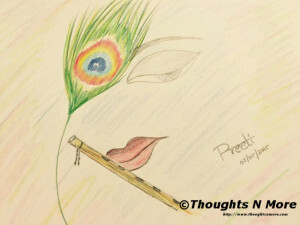 I might describe about Bhagvadgita someother time, but coming back to Janmashtami, I had read a beautiful interpretation of Janmashtami which I am sharing here . Analogy of this festival is that as soon as Krishna (The chetna – चेतना or awareness) takes birth in our mind , all the darkness अंधकार -negativity fades away just like when Krishna was born the whole prison was lit . All the chains जंजीर – Ego (I , me, myself) are broken away, and all the doors of prison-काल कोठरी -thoughts or opinions that we are confined in- of caste, religion, relation etc) are opened up. The idea or essence of the festival lies in self awakening so as you can get away from all the negativitiess and understand the true essence of blessing the LIFE is. Mubarak ho aap sabko ye janmastami ka tyohaar. Mandal word comes from the Sanskrit word “मंडल” the literal meaning of which is circle. The word circle also means completeness or wholeness. Its a spiritual and religious symbol in many Vedic based religions representing universe. Usually its a complex abstract design that is in circular form with one identifiable center point from which emanates patterned symbols and shapes. A Mandal is considered to have healing properties too, for many just looking at the circular pattern brings calm and contentment, hence its used as focal point for meditation or introspection. It also depicts essence of life , our relation to the infinity and single unit of unity within us which is our “mind”. It also represents material world which includes our circle of family, friends ,society and the non-material world our solar system and its components , the planets and the sun. Its believed to be a stress buster too, try it out sometime when you are tired or stressed just simply start drawing the concentration and trying to find patterns that assimilate well to create the mandal will channelize your energy and bring your focus to the constructive thoughts and soon you will realize the feeling of calmness within you. 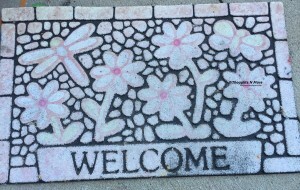 In many parts of India, mandal have become base for creating Rangoli’s(designs done on the floor with colored sand) . 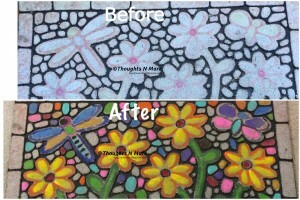 Try out this art form and do give the feedback !!! Yes, I am a happy go lucky person. Yes, everything is going well in my life. Yes, I feel blessed with what I have in my life. Yes, you read it right ..yet few things hurt me. I have felt hurt in the past few weeks with what is happening around me and this time I am not going to sit,watch,hear and sulk or just make it a casual discussion over the dinner table.I am going to voice my thoughts. I know my opinion or thoughts may not make a huge difference or may not be trending or may not get hits or likes (that is not the intention either) in the electronic world because I am not a celebrity and because I am not creating controversies, but I know the pain and agony that a common citizen like me can relate to ..I know the strength of common people and I believe in it and I know together we can make the difference. I know if you and me the common people, the majority (irrespective of the color of our skin) who share the same feelings and thoughts and don’t mind sharing them on our wall, together we can create a stir, so here it is TO THE POWER OF A COMMON CITIZEN…. It hurts…when the countries I love the most are going through tragic times.Yes , you can love two countries with equal passion and patriotism at the same time. It hurts…when a 6 year old who like any other kid goes to school on a regular school day and gets shot and the parents loose him forever. It hurts…when you come to know that the 6 year old was shot by a teenager.What kind of society we are giving to the next generation that they are so vulnerable to their surrounding. It hurts… to realize that somewhere we are doing something wrong , why our kids are not strong enough mentally, they can get bullied over the brands of shoes or clothes they are wearing. It hurts…when the soldiers of the country are dedicating and sacrificing their lives and the citizens of the country ,sit in a cozy room and argue about proof of their work. It hurts… when a soldier has to justify his/her job as not any other regular job, when celebrities or business keep their own personal interest above the interest of nation. It hurts…. when a country which is based on thousands of year old civilization is just projected by media as a country of snake charmers, potholes and slums. It hurts.…when a country is misinterpreted as a land of divorces,drinks and drugs by the wrong projection of media. It hurts….. when so called intellectual people and countries try to over power others by belittling others. It hurts…. when people don’t value the life they are blessed with and the freedom that a country provides them. It hurts…when we just depend on others to bring the change in the country,society or government. Let’s give a clean and healthy environment for the generations to come , a legacy that they can be proud of. Let’s be the change we want to see in the world. Let’s not watch the reactions happen let’s be the catalyst. Let’s have no more HURTS !!!! Gond is the second largest tribal group in India located mostly in the central part of India.Gonds are considered to be of Dravidian origin. The Gond Paintings are traditional art form of Gond Community mostly done on the walls and floors of the homes of the people.The major belief in doing so is that the Gonds believe that looking at beautiful stuff brings good luck and also wards off evil. The Gonds are very close to nature hence nature plays an important role in their paintings. Most of their paintings depict flora and fauna of local areas and Gods and Goddess. 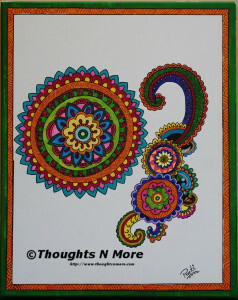 The colors used in Gond Paintings are Natural colores or dyes mostly made of colored soil, leaves,flowers etc. The speciality of Gond Paintings is the bright colors used , simple designs, double borders and if you look carefully the paintings are just made of lines,dashes and dots. Its the Gond Tribe that is depicted in the The Jungle Book By Rudyard Kipling. Although this art form is getting extinct but the government, various NGO’s and artist groups are trying hard to revive this artform. 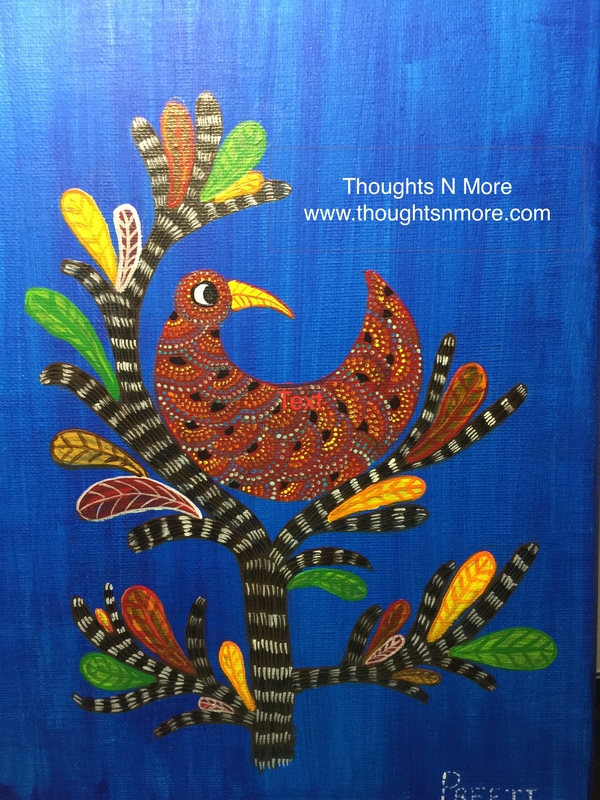 My little dedication to this beautiful art form is through this handmade GOND PAINTING. Do try out this fascinating art form and introduce the younger generations with the rich art forms of the world. Birthdays are always special but for some people its Suupeerrrrrr special…My little one is one such person. Her back counting for her birthday starts from the very next day of her birthday and this year she wanted a Nail spa Party.Her desire my Command 🙂 Thats what mommies are for right. 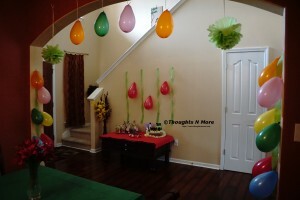 Below is the glimpse of our spa party room. 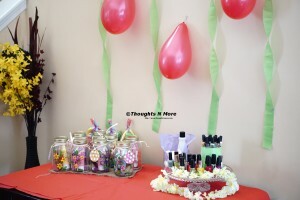 A little Nail spa station is set up in the corner of the room from where the kids could pickup the colors thet wanted. 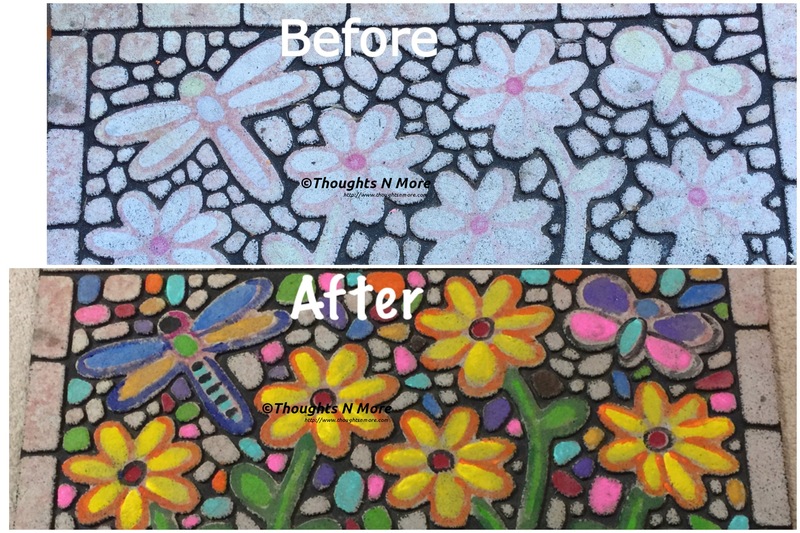 There were base colors to pick first , then there were varios options like sparklers, rhinestones,stickers, accent colors etc..they could choose what they want. The munchies in the food items went with the party theme and included pink marshmallows as they look alike cotton balls (needed for nail spa) ,strawberry sparkles drink, pretzels, other colorful munchies that go with nail colors theme etc.. The table where the nail paint was being done had a fun flowery theme with coolorful flowers and beads decorated to give it a girlie and festive look. 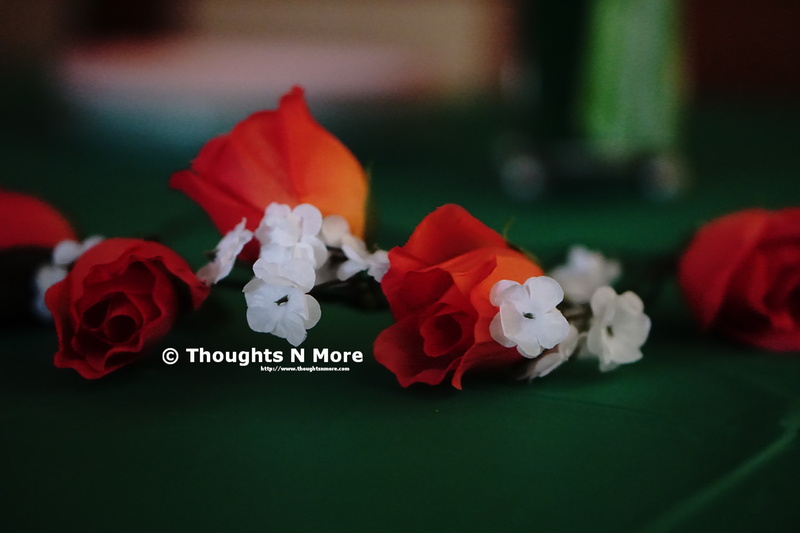 I made a flower tiara that matched with my daughter’s birthday dress and then every girl got to wear the tiara while getting their nails done.Believe me they all felt so special and gave the best pose for the pictures 🙂 . They all loved the floral tiaras. 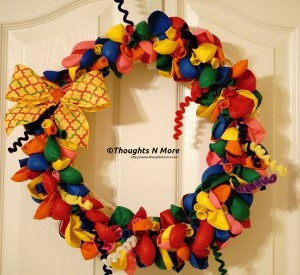 These are also a great gift ideas for little girls and ladies. 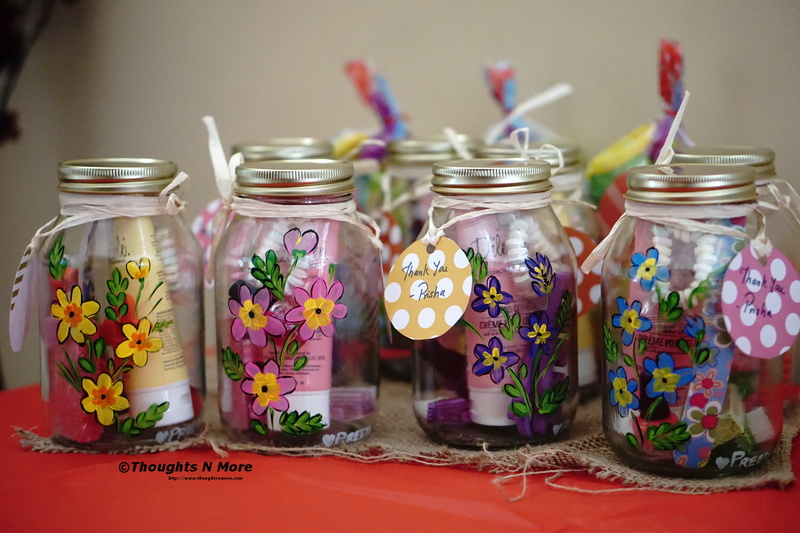 For return gifts I did hand painted bottles with all the goodies related to Nail spa.The bottles had Candy bracelet,foam nail separator, nail cutter,nail filer, a nail paint bottle, nail cleaner brush , pumice stone, a big hand and feet lotion. 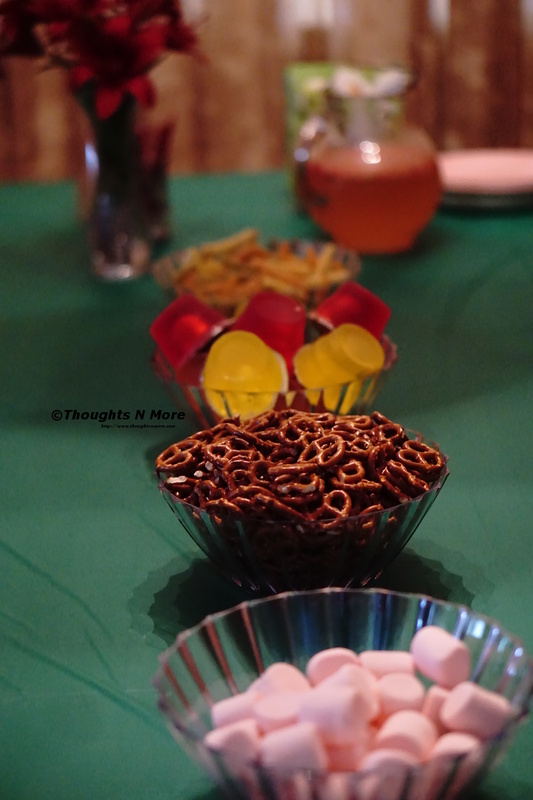 The girls were so happy with these goodies. 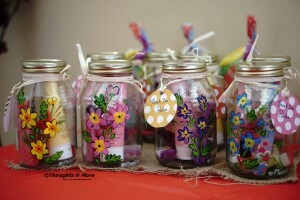 They could use the goodies inside and then the hand painted bottles could be used at home for decoration or other endless options. These return gifts can be also used as gifts during festivals like Navratri Kanjak pooja or Golu gifts, Christmas gifts, Gifts for girl friends in Bridal showers. 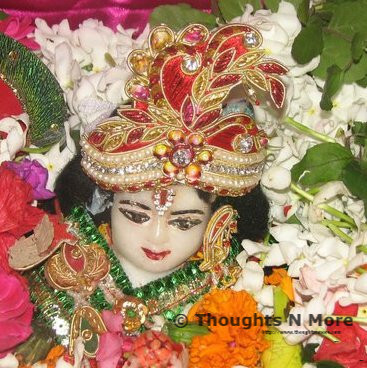 Janmashtami is celebrated all over the world as the birth day of lord Krishna. Lord Krishna is known around the world as the preacher/messenger of love. Once Krishna and Arjuna were walking towards a village. Arjuna was pestering Krishna, asking him why Karna should be considered an unparalleled Donor & not him ? Krishna, turned two mountains into gold. Then said, “Arjun, distribute these two gold mountains among villagers, but you must donate every bit of it “. Arjun went into the village, and proclaimed he was going to donate gold to every villager, and asked them to gather near the mountain. The villagers sang his praises and Arjun walked towards the mountains with a huffed up chest. For two days and two nights Arjun shoveled gold from the mountain and donated to each and every villager. The mountains did not diminish in the slightest.Most villagers came back and stood in queue within minutes. Now Arjun was exhausted, but not ready to let go of his Ego, told Krishna he couldn’t go on any longer without rest. Then Krishna called Karna and told him to donate every bit of the two gold mountains. Karna called the villagers, and said “These two Gold mountains are yours. ” and walked away.Arjun sat dumbfounded. Why hadn’t this thought occurred to him? Krishna smiled mischievously and told him “Arjun, subconsciously, you were attracted to the gold, you regretfully gave it away to each villager, giving them what you thought was a generous amount. Thus the size of your donation to each villager depended only on your imagination. You expected in your subconscious for people to praise you for your donation. Karna holds no such reservations. Look at him walking away after giving away a fortune, he doesn’t expect people to sing his praises, he doesn’t even care if people talk good or bad about him behind his back. That is the sign of a man already on the path of enlightenment”. Giving with an Expectation of a Return in the form of a Compliment,Thanks or similar deed is not a Gift, then it becomes a Trade. Krishna replied mischievously ” Where is love or friendship when it’s done with mean intentions” the idea behind this is that any friendship or relation that is based on the simple aspect of trade (mean) as to what I will get out of it is never a true relationship or friendship. So the idea of “I did it for you ” itself means you are trading your deeds and it can become the cause of your own unhappiness or sorrow. 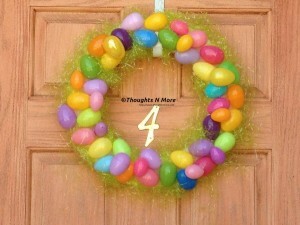 Let’s do good and then forget ..
Wreath making is another interest of mine. Those welcoming wreath hanging on the door not only look beautiful but also display the taste and mood of the home owner. यही मूल है इस बार इस त्यौहार , हमारी शुभकामनाओं का.. Depending on if you want vibrant summer or pastels pick any of these ideas and if you want to mix the two.. go with either the pastel balloons or bright eggs, Enjoy the creations and don’t forget to share the pictures of your creations here in the comments below. “Innovation sometimes leads to Renovation“. No I’m not kidding this project is prefect example of what lead me to say the above comment. 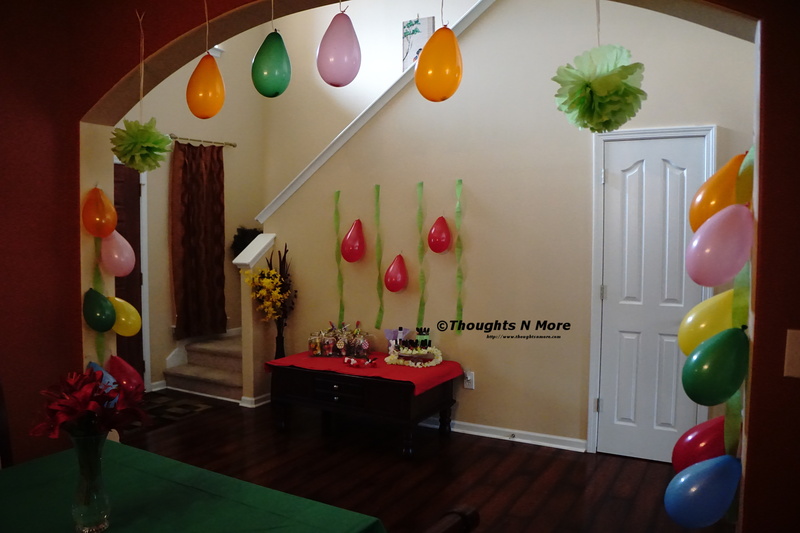 It was raining the other day and the kids were not able to play outside and we were thinking what to do.I was trying to innovate some fun activity or game. 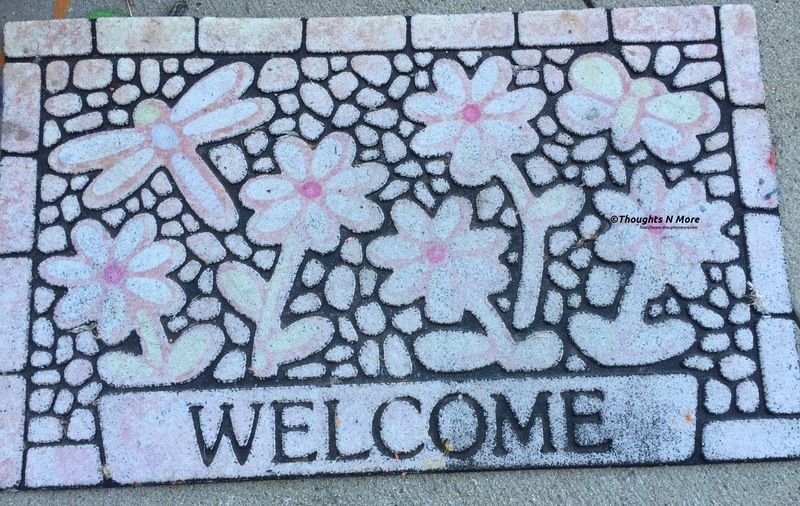 My doormat was one thing I was thinking to change and was not getting time to go and shop around for the same, this seemed a perfect time to do something about it. 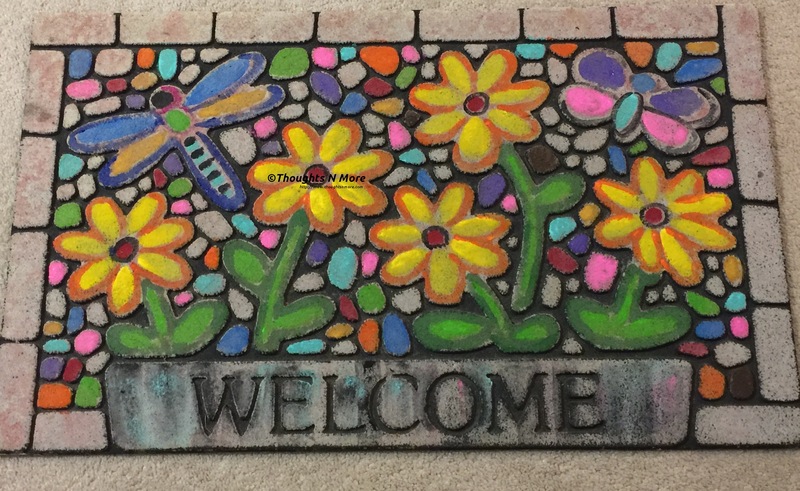 So just picked up the mat and grabbed the paints and brush and the evening turned in to a beautiful art project and Voilà !!! 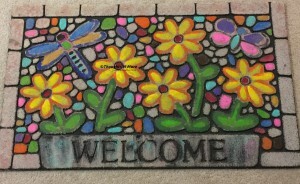 We have a colourful welcoming door mat. I don’t think it will be exaggeration to say now its a sight for the sore eye. Today is Mahashivrartri, the most auspicious day for the Lord Shiv(Shiva) devotees. Shiva the undisputed most respected and at the same time the most fearsome god in Indian culture. There are lots of legends about the significance of Mahashivratri like the marriage of lord shiv and goddess Parvati, the day when he saved the earth by consuming the poison etc. I was brainstorming how I should explain Shiv to my kids ( A daunting task I know , because people spend their lives to understand the essence of it, I know I am not going to divulge in to philosophical aspects or dig in to the religious fundamentals). My aim is simple how to make the little mind understand what we worship and how to relate it to the real world. Sh denotes “Shareer” (शरीर ) body our physical self, I denotes “Eeshwar” (ईश्वर ) the God , the supreme or the power and V denotes “Vaayu” ( वायु ) literal meaning of Vaayu is air ,the life or the movement. So basically Shiv is the God , the knowledge or the power within us . The day this knowledge or conscience within us stops working meaning the I or (इ ) is no more the SHIV becomes the Shav(शव ) a Hindi word for death body, meaning the body becomes life less. Thus to be alive keep growing your knowledge and feed your conscience it will help you lead to be the Shiv and not turn in to Shav. 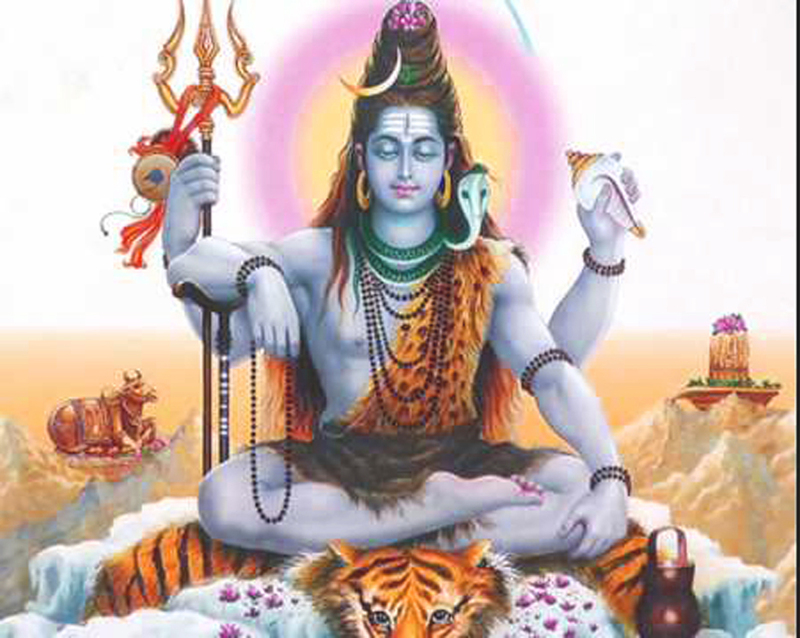 1) Ganga River : Shiv is shown holding River ganga on his head (there is story related to it you can find on internet). Ganga or Ganges is supposed to be one of the most Holy river in Indian culture. Ganga represents knowledge , try to grasp as much knowledge as you can from everywhere (nature,books,tv,plays,movies,games). Yes, you can learn from any and everything if you keep your mind open and have willingness to learn. The most basic characteristic of a river is that it flows continuously, similarly try to learn throughout your life just like the flow of the river try to pass the knowledge to the next generation , to others basically if you know something don’t keep it to yourself share with others and help everyone grow. 2) Moon : Shiv adorns Crescent shaped moon on his head.Indian calendars have always been based on the positioning of moon.Hence moon signifies time . Always keep time in mind , be conscious about the importance of time and work accordingly. Once a time gone its gone forever so give your best to each and every moment. When having fun enjoy it to the fullest, when studying give your best ,basically live every moment to its fullest because time will never be the same. 3) Trishul/Trident : Shiv is always depicted with trishul or trident as his weapon. The three prongs of trident depicts Knowledge (ज्ञान) , Action (कार्य) and Will(शक्ति /इच्छा ). This means that as an individual you should use your knowledge to direct your will in performing the best of actions. Meaning you can accomplish any action or task by nurturing your will with the knowledge you gain. You can use your knowledge as your weapon by performing the right actions. 4) Third Eye : Shiv has a unique feature – his third eye on the forehead. The basic function of eyes are to see , We see the physical stuff around us through our eyes, physical meaning like trees , mountains, river,lakes, a person through his outer appearance, but one needs to use the mind’s eye meaning conscience , meaning learn to observer beyond what is physical. Don’t just rely on what you see but learn to use your conscience too. 5) Damroo/The Drum : Shiv holds damroo (डमरू ) an hourglass shaped drum in his hand. The way you create sound through it is by shaking it and its done in a unique style the top becomes bottom and then vice-versa. This means nothing in this world is going to remain as is , change is inevitable. Learn to accept it , just like how Himalyas were once within the sea and then came out similarly change is bound to happen that’s the rule of life. Learn to adapt yourself to changes and also not to be proud of your achievements as everything changes. 6) Snake : Snake means always be vigilant be aware of what goes around you .Snakes don’t have external ears (again not going in the biological details) but still they can feel the vibrations and watch the movements hence just like them be aware and alert of what goes around you.It can also be represented as ego, meaning tame your ego in such a way that it becomes your adornment.A humble soul is always respected and appears beautiful than a loud mouth. 7) Tiger skin : The tiger skin represents power, lust or our desires. Shiv sits on tiger skin hence signifies that one should always have control on their desires and power. The path to success is through self control. 9) Blue Throat: The legend is that Shiv held poison in his throat to save the whole world . Holding the poison in his throat turned his throat blue hence the name “NeelKantheshwar”(Lord with the blue throat). Just like shiv try to control your anger in throat. When we get angry knowingly or unknowingly we start using words which we might regret later. Words spoken in anger can act as poison for the one whom they are spoken to, it can spoil your relations forever. Hence learn to control your anger , learn to hold your words in your throat. Hope we can all inculcate these qualities not only in us but in our kids and make this world a happy place. HOLI : HOW & WHY ?? Sheetal Kalwad on HOLI : HOW AND WHY ?? 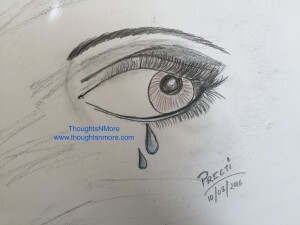 Preeti Mishra Tiwari on It hurts…..
Disclaimer: Unauthorized use and/or duplication of the written contents and pictures without express and written permission from this blog’s author is strictly prohibited. Excerpts and links may be used, provided that full and clear credit is given to [Preeti Mishra Tiwari] and [Thoughts N More] with appropriate and specific direction to the original content.